Many of our practitioners become a part of Cuddlist because they want everyone to feel seen, heard, and cared for. Many also have a background in massage therapy and coaching that gives them a special compliment as a part of our team. That is the case with Nellie. Nellie is one of our practitioners from Florence, MA who has a background in massage, coaching, and integrative health, who wants others to feel listened to. She welcomes diversity in her sessions, working with people of all gender identities, races, sizes, abilities, and sexual orientations, and believes that there is no “right” or “wrong” way to experience connection or platonic touch. 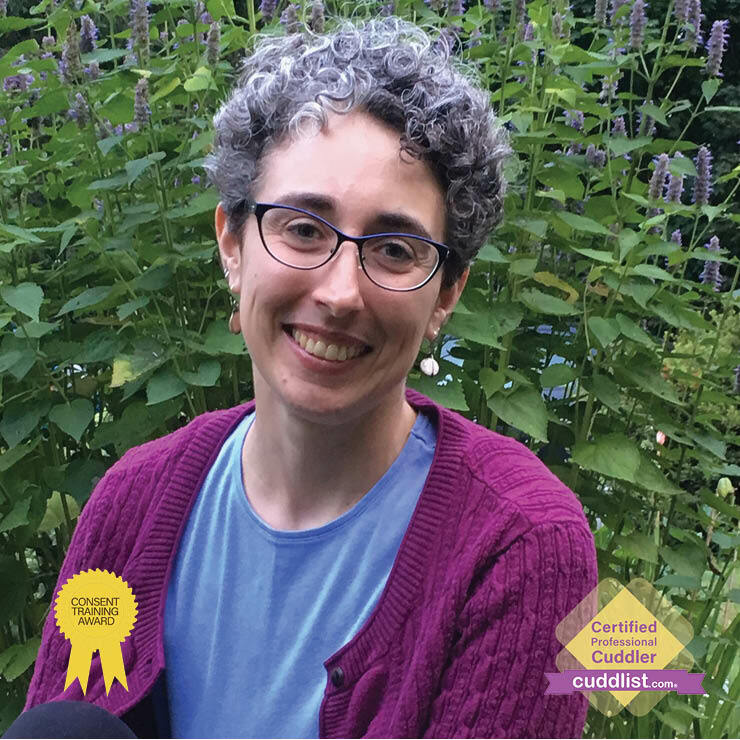 In a phone interview, Nellie talked about what drew her to becoming part of the Cuddlist team, her most memorable moments as a practitioner, and other information about her that any potential clients would like to know. She had a lot of amazing insight on her experiences. What drew you to being a professional cuddler, specifically a Cuddlist? What advice would you give your 10-year-old self, and what’s the best piece of advice you’ve ever gotten?